A portrait of Joseph Haydn from 1785 has been discovered in an antique store in the US (Savannah, Georgia). 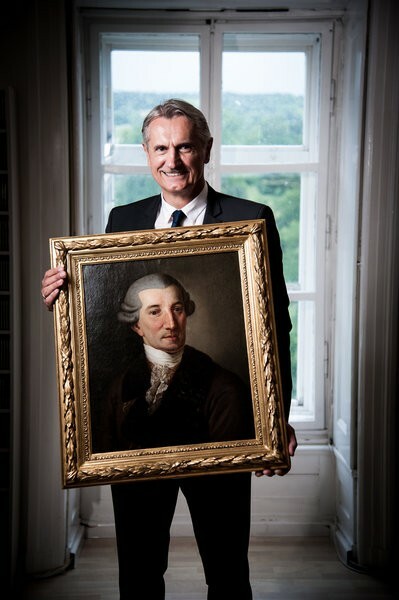 The work was identified by Dr. Walter Reicher, secretary general of the International Joseph Haydn Private Foundation Eisenstadt (right), which has now acquired the painting. It is one of three versions by Christian Ludwig Seehas dating from the painter’s stay in Vienna. Two other versions of the oil on canvas work are known to exist: One at the Staatliche Museen Schwerin in Germany and a second, once in the possession of the Prussian Heritage Foundation, but lost since 1945. The newly discovered portrait of Joseph Haydn has been professionally restored at the Picture Gallery of the Academy of Fine Arts Vienna. Now, the portrait is displayed in the exhibition of the Haydn-Haus in Eisenstadt, Austria.